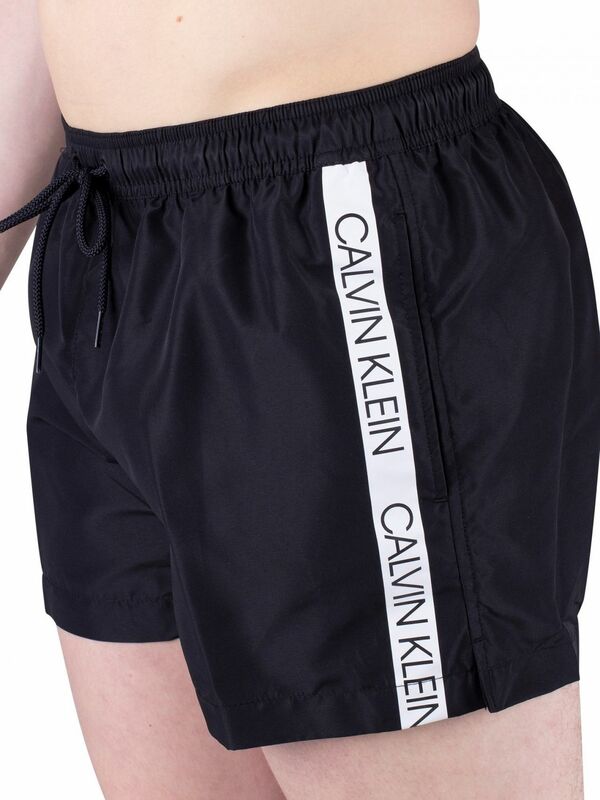 The Short Drawstring Swimshorts from Calvin Klein features a printed logo on both sides at front, and mesh lining. 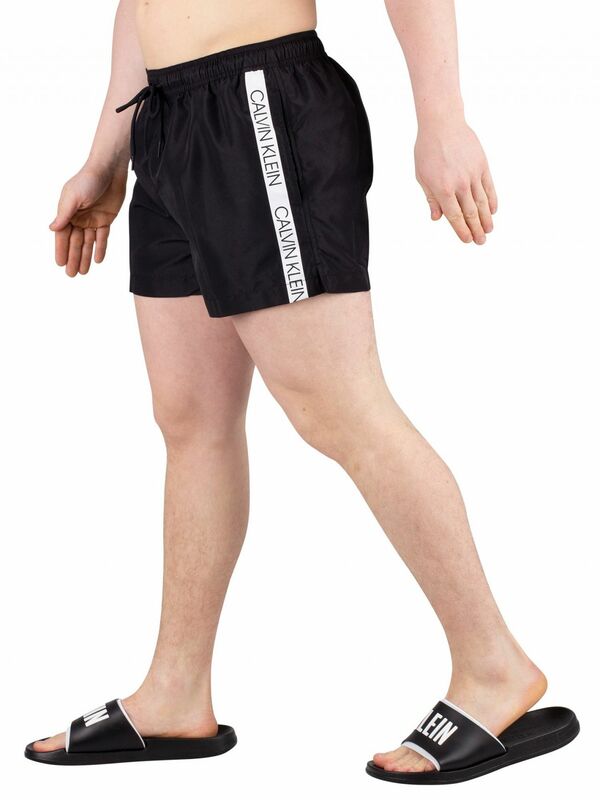 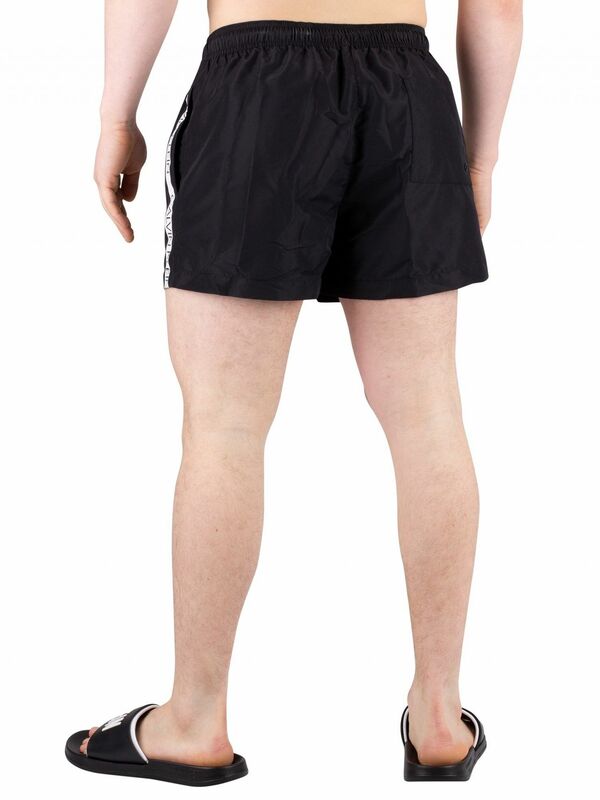 Coming in Black colour, this pair of swimshorts sports an elasticated drawstring waist. 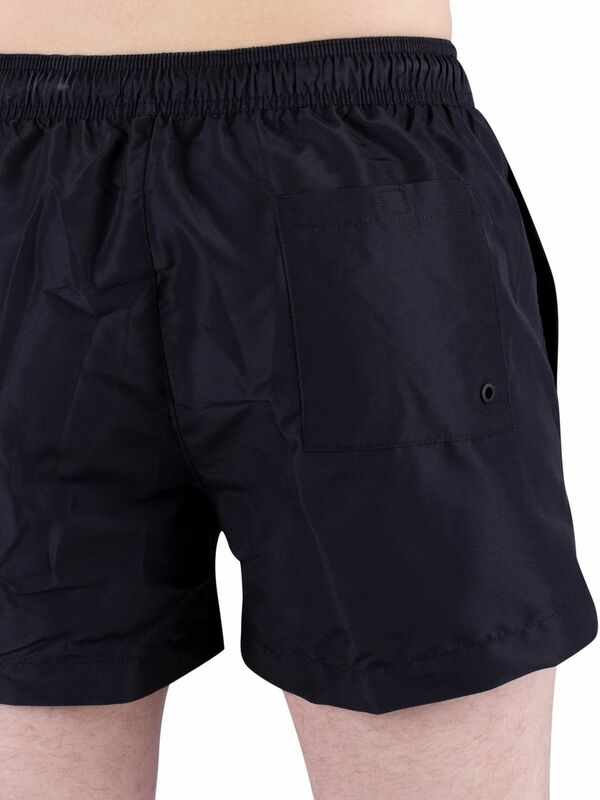 These swimshorts comes with open side pockets and Velcro back pocket.